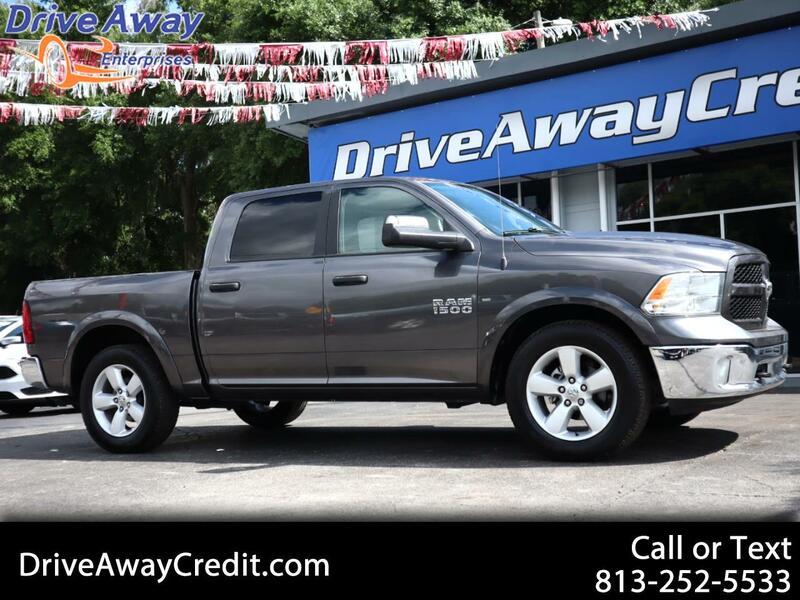 Be prepared for any adventure in our 2015 RAM 1500 Outdoorsman Crew Cab 4X2 presented in Granite Crystal Metallic. Powered by a 5.7 Liter HEMI V8 that provides 395hp and massive torque while paired with a TorqueFlite 8 Speed Automatic transmission with an instrument panel-mounted rotary dial shifter that allows for effortless shifting. This efficient Rear Wheel Drive team rewards you with near 22mpg on the open road and a smooth comfortable ride with superior acceleration as well as the ability to tow all of your recreational toys behind you! You'll make a powerful first impression in your attractive 1500 Outdoorsman that is highlighted by an aggressive grille, off-road tires, a bedliner, tow hooks and distinctive inserts that enhance the aerodynamics of this strong machine. Inside the upscale Outdoorsman interior, you'll find a prominent central touchscreen display featuring UConnect with voice control and Bluetooth along with a wealth of other amenities.